Mae Sa Waterfall located in the Mae Sa Valley area this famous 8 tiered waterfall is one of Chiang Mai’s most accessible waterfalls and worthy of a visit if you are in the Mae Sa area. A winding path can take you up the river and the various tiers of the waterfall and is a nice spot to kick back and relax for a while. Located in the Mae Sa Valley the turn off to the car park is situated around the 7km mark on the Mae Rim – Samoeng Rd. Driving time should be under 30 minutes from Chiang Mai. If you don’t have your own transport then charter a songtaew or tuk tuk in Chiang Mai. Mae Sa waterfall is usually visited with some of the Mae Sa areas other attractions. 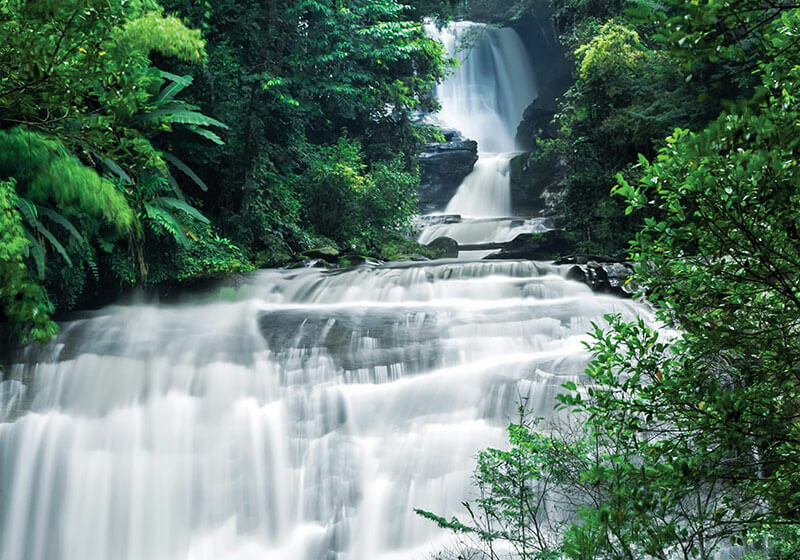 Short Description: This famous 8-tiered waterfall located at the Km. 7 along the Mae Rim-Samoeng road is a popular recreation spot to unwind with lush natural setting, lush trees and fresh breeze all year round.